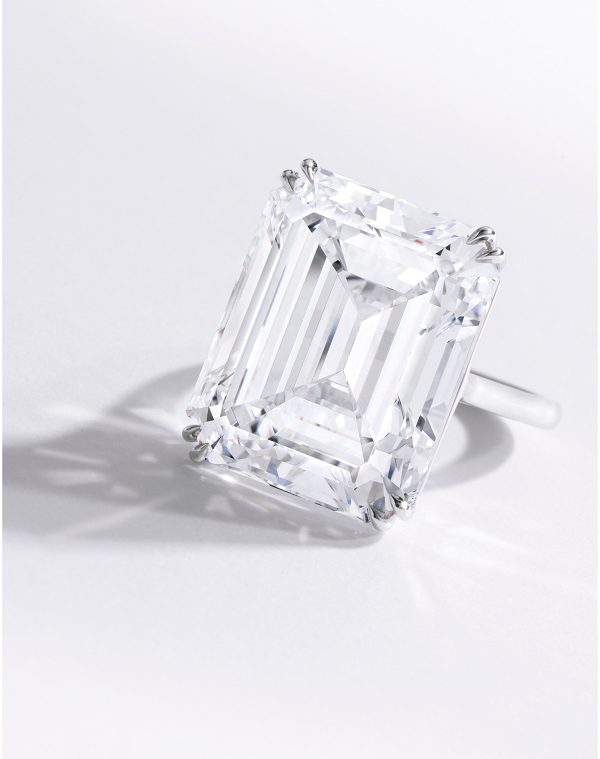 This fall, Sotheby’s will launch its Important Jewels auction season in New York. On September 24th and 25th, it will offer no less than 542 lots for sale to the open public. The top lot by estimate is a 30.15 carat Emerald cut F color diamond with VVS2 clarity. 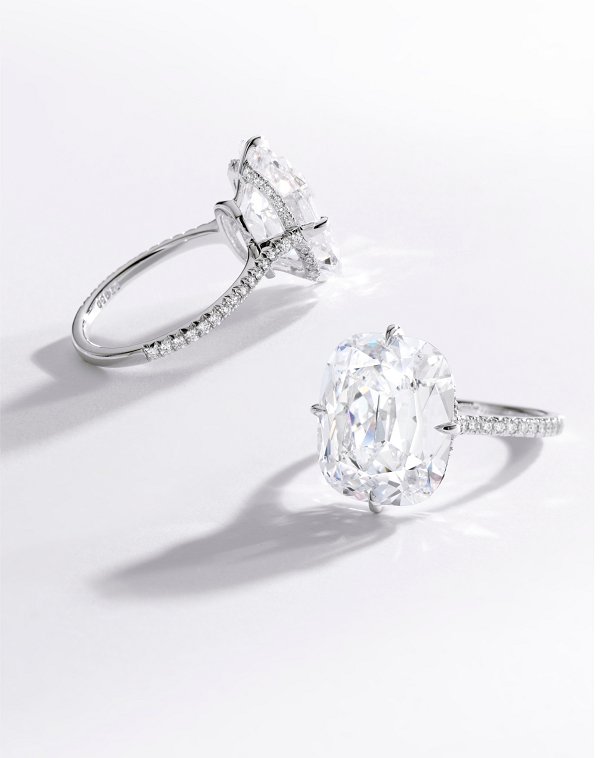 It is estimated to sell at a price between $2.4 million and $2.8 million, or $80k to $93k per carat. The diamond industry has been facing major challenges since mid-2014, and it seems that it is not close to getting itself out of its own form of “market crash”. Nevertheless, an investor is always on the lookout to take advantage of these types of circumstances, similar to distressed investment market situations. Fundamentally, diamonds have limited supply, while demand is expected to be over twice as much as supply in the next few years according to Bain & Co.’s report. Diamond Supply & Demand Image credit: Bain & Co.
For colorless diamonds, anything over 10 carat in size, with a D, E or F color and with an F, IF, VVS1 and VVS2 clarity is considered a rare and valuable item. I would also say that a triple X factor for Symmetry, Polish and florescence would greatly add to a diamond’s value. The top lot of this auction should be considered an item of investment value, which will help with portfolio diversification to an investor. Historically, diamonds have had a12% volatility since 2009. during the same period, silver has had 2.8 times the volatility of diamonds, gold has had 1.6 times the volatility and platinum has had a 1.1 times volatility, making diamonds a more stable investment over time. The second highest lot by the auction house’s estimates also corresponds to the investment criteria. It is a 10.19 carat D color IF clarity diamond, and it is a type IIa. Type IIa diamonds are unique and rare as only 2% of diamonds in the market fall under this category. The diamond is estimated to sell between $1.3 million and $1.6 million, or between $127k to $157k per carat. The next item i wanted to bring to your attention is the 3.55 carat Fancy Light Blue pear shaped diamond. 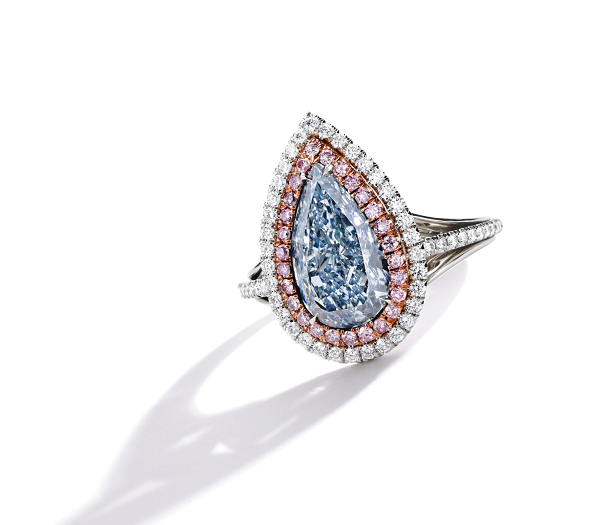 It is a beautiful blue diamond surrounded by pink and colorless diamonds, set on a ring. It is estimated to be worth between $475k and $525k, or $134k and $148k per carat; a typical price valuation for the rare Fancy color diamonds. 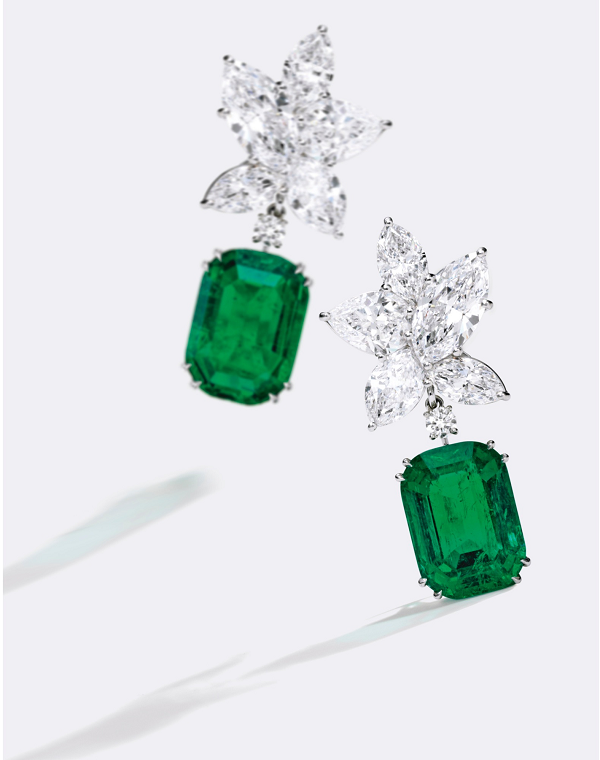 Fancy Color Diamonds have always held their ground and value over other investments. Their increase in value in recent years is due to the fact that people and investors in particular have been increasingly appreciating their rarity and understanding the value they hold over a longer period of time. Investors have always looked for ways to protect their wealth and capital using alternative investment vehicles, and fancy color diamonds are no exception. In fact, they are the exception when looking for something rare and that will hold its characteristics while simultaneously increase in value over time. Fancy color diamonds are known to be the most concentrated form of wealth on earth. Do you own any rare fancy color diamonds that you would like to share with us? Join our community and share your thoughts about fancy color diamonds, or any other diamond worth mentioning!